Better next generation than never, I suppose. We’ve had quite a few long running vaporware titles get released over the last eight years of the current console cycle, including I Will Survive, Too Human, and the legendary Duke Nukem Forever. With the PlayStation 4 and Xbox 720 looming at the end of the year, it’s safe to say that this generation is about ready to wrap itself up, and with the transition comes a handful of promising titles who’s developers just weren’t able to get them out on time, even though most of these games have had development periods of over half a decade. None of these games have been officially canned, but they also haven’t shown their faces much in recent memory. Chances are we have a string of high profile next generation tiles to already be excited about, or we have a few lofty promises that will never be released. Rockstar North has been hard at work on creating their Cold War stealth-action game since the beginning of the console cycle. 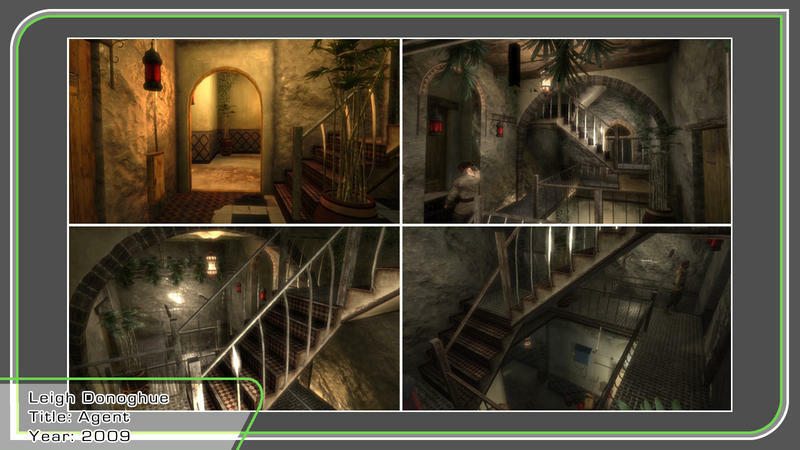 Hinted at in 2007 and first announced in 2009 as a PlayStation 3 exclusive, we haven’t heard about Agent since 2011 when Take Two confirmed just before E3 that year that they were still working on the title. To date, nothing about the game has been seen or shown to the public besides a few leaked images on a developers resume. All we know is that Rockstar wants to bring gamers into “the world of counter-intelligence, espionage and political assassinations” and that it will take place in the late 1970’s. Will we see it: Seeing as we know nothing about this game except a title and vague ideas, it could very well be that Rockstar simply got caught up in bigger projects like Red Read Redemption and Grand Theft Auto V, and left Agent on the back-burner for a few years. The increase in popularity of stealth-assassination games in recent years must have caught Rockstar’s eyes and it would be a nice little treat to give gamers at the start of the generation when there is not much else to choose from. I’ll give it a yes, but far removed from the original vision of the game. Director Michel Ancel is rumored to have butted a few heads with Ubisoft over the years to finally get this game made. Fans of his cult-hit Beyond Good and Evil have been left in constant suspension wondering if they will ever see the conclusion to their beloved story, and based on recent speculation, they just might still have a chance. The game was first teased with a trailer way back in 2008, but a gameplay trailer (seen above) leaked during Gamescom in 2009 was what caught most gamers’ attention. The hotly debated “brown” setting was put on hold while the world gasped at the magnificent action in which protagonist Jade flows easily through the streets performing impossible animations while being followed by a camera that seems to known what she will do even before the gamer does. Will we see it: I don’t know a single gamer who saw that trailer and still believed Beyond Good and Evil 2 was capable of running on current technology. Apparently, everyone was right also. Michel Ancel has stated that he and his team are aiming for a next generation video game on the Wii U, PlayStation 4 and Xbox 720. Ugh, the byproduct of this entire Final Fantasy XIII mess Square Enix just can’t seem to let go of. 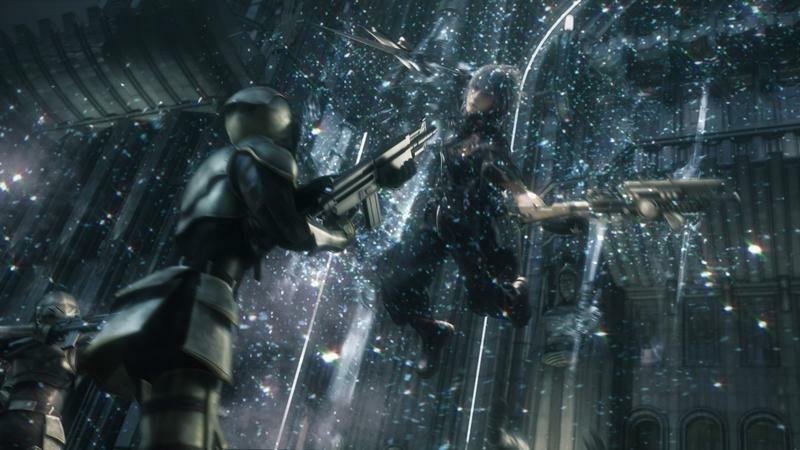 Final Fantasy Versus XIII has been in the works since 2005, making it by far the oldest on the list, and we still know very little about it. Apparently it takes place within the same universe as the events surrounding Lightning and her cohorts, but the characters, settings, and plot are all independent of its parent title. Square Enix originally planned for this to be a part of their “decade of Final Fantasy XIII,” but they’ve been too busy trying to get its lofty ambitions to finally play out in the official sequels that they seem to have totally forgotten about this one. Actually they haven’t as executive producer Tetsuya Nomura has consistently and frequently state that the game is still being made. 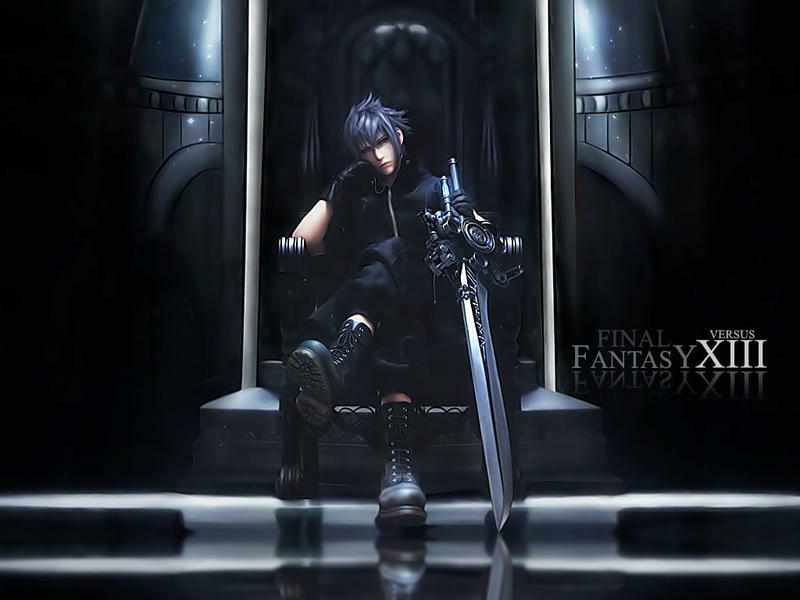 Will We See it: With Square Enix CEO Yoichi Wada making comments like “When it gets to the stage that it makes one think, ‘This is Final Fantasy,’ we’d like to show it to everyone,” one really has to wonder if it will ever happen if seven years hasn’t been long enough. Square Enix also promised a brand new Final Fantasy game for the PlayStation 4 to be announced at E3 this year, and I doubt that this new title will be the elusive game in question. Based on their stubbornness to refuse it’s dead, I have no doubt it will be released at some point. When and in what shape though is the big question. This game has suffered a long and unfortunate development phase. With lead designers retiring or changing companies to constant set backs due to limited power, The Last Guardian is seen as more like a martyr for quality game development than anything else. There are way too many excuses and reasons to list why this one has been taking so long, but just know that it has been in development since 2007. Luckily, Team ICO is adored amongst the gaming crowd for their touching hits ICO and Shadow of the Colossus, so they have been able to allude scorn and disgust for quite some time now. Will We See it: Yes. Nothing about the game appeared in the PlayStation 4 reveal press conference, but Wada has confirmed they are just “waiting for the right time to reintroduce” it to the world. 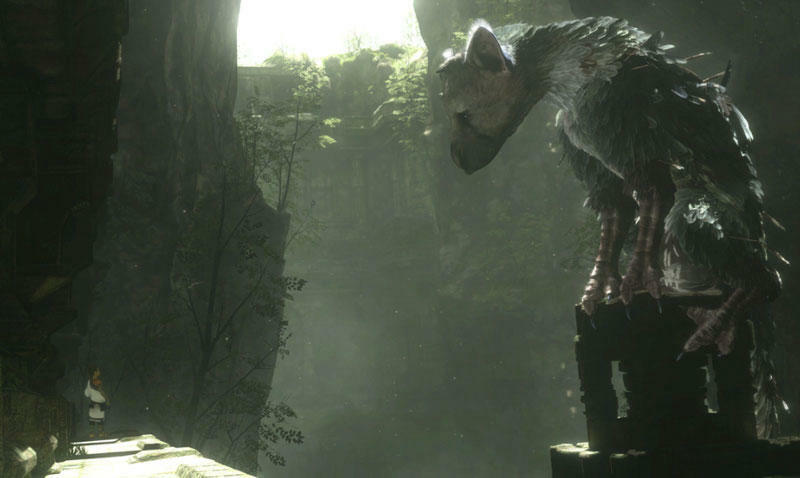 Canceling this huge title would be a huge mistake at this point as just about everyone wants it, and producer Fumito Ueda has put in too much time as a freelance creative director to back out just now. Give is a little more time, and this one will be out on the PlayStation 4. Can you believe almost six years have already passed since the The Orange Box was released? I was in college at the time! 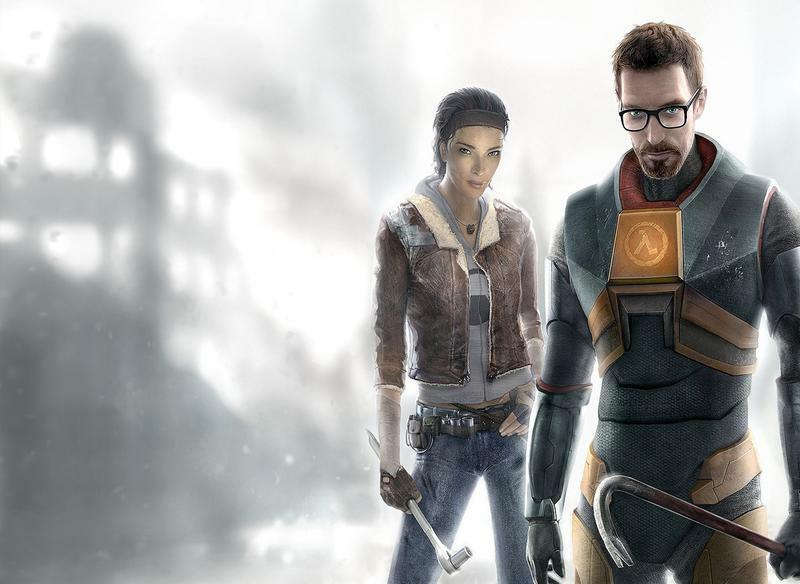 Half-Life 2: Episode 2‘s dramatic conclusion has left gamers demanding a satisfying follow up, and Half Life Episode 3 never materialized. Valve has been distracted with turning Steam into gamers’ top choice for digital distribution and both the Left 4 Dead and Portal games since then. But we’ve never forgotten, and yet we know absolutely nothing about this guaranteed huge success. Will We See It: Absolutely. The console developers might not seem like they consider the Steam Box a huge threat, but if Valve were to announce Half-Life 3 as exclusive to their machine, I bet they’d think differently. Granted, I’m not entirely sure if Half-Life has the pull it demanded back a few years ago, but the announcement would be one of biblical proportions.